Key User Extensibility is a part of In-App Extensibility in the S/4HANA Cloud and is mainly pointed towards the needs of Key Users of any organization and is managed through web based Key User Tools. Let us understand Who is a Key User? 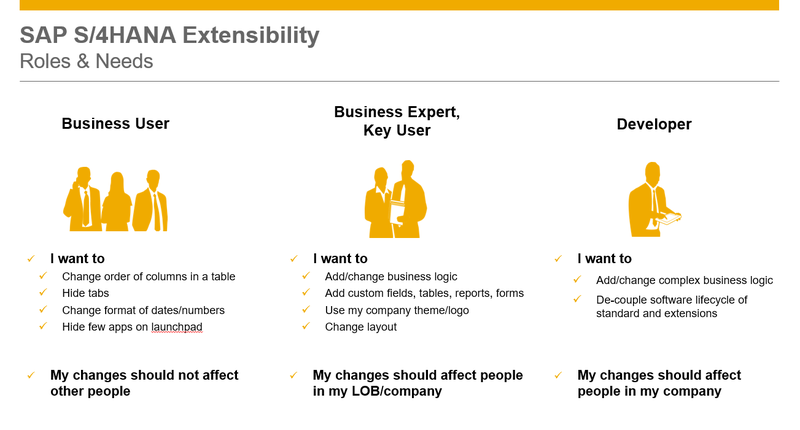 In any organization, a Business Expert is called as Key User in S/4HANA Extensibility paradigm. As you can see from below image, a Business Expert is someone who would only like to see the S/4HANA Extensions on cloud for his or her LOB. It is important to note that these extensions should only affect the people under him. 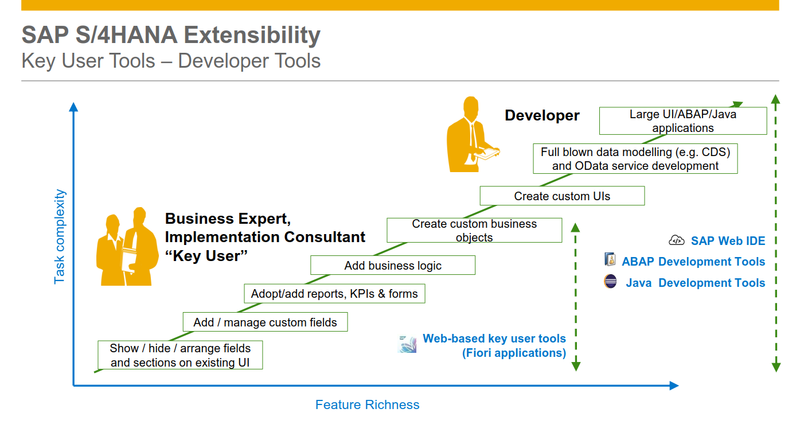 To achieve these extensions, SAP provides you Key User tools. It is important to note these tools are restrictive in nature (We will learn more about this little later in the blog). What advantage does these tools provide to a Key User? What are these Key User tools then? As you notice from above image, to a Key User, SAP has provided Web-Based Key User Tools (…which are nothing but SAP provided Fiori Applications) for end-to-end extensions like – adding custom fields, custom business logic (ABAP in the Cloud), Custom CDS Views, Custom Business Objects Etc. 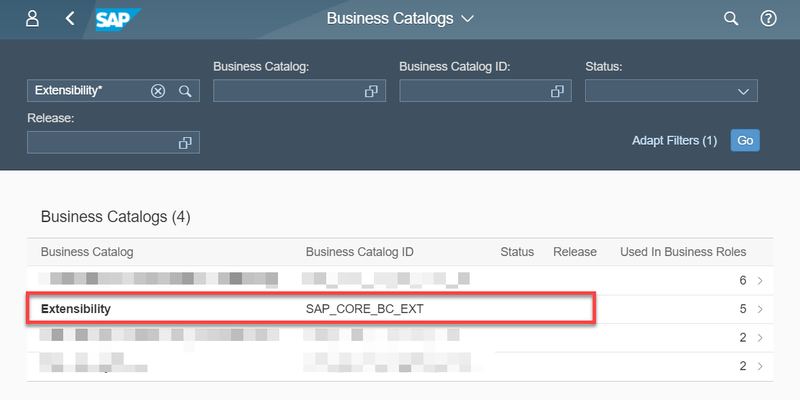 How to get these Web Based Key User tools in S/4HANA Cloud? What Key User tools made available through S/4HANA Extensibility? As you can see from the image source 2 above, SAP S/4HANA Extensibility divides extensions between Key User Tools and Developer Tools. Congratulations you have successfully understood the basics of Key User In-App Extensibility on S/4HAHA Cloud! Very well written blog series Rohit. Great job! Thank you, Vikas. Glad you liked it! Very helpful blog. One question – Does the key user extensibility also allows to make certain field mandatory vs non mandatory. As of now, it is not possible. However, you can add additional logic and check for initialization of the new field through the implementation of custom logic, provided a relevant business context and a BADI is available.